Hello! 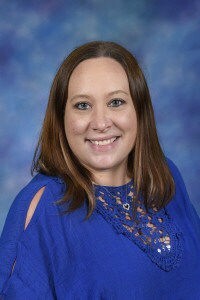 My name is Mrs. Corrie Rettelle, and I have been teaching Kindergarten at St. Ferdinand School for 15 years! I have a Bachelor of Arts degree from Concordia University and a Master’s degree in Early Childhood Education from Dominican University. Early Childhood education is my passion, and I am blessed to be able to do what I love every day! Seeing the magic and wonder in a child’s eyes as they learn something new makes my job the best job there is! When I am not with my St. Ferdinand family, I am a proud wife to my husband JJ and a mommy to my three year old son Greyson and 6-month old daughter Jocelyn. We live in Chicago, but love going to Lake Geneva! I am honored and blessed to be a part of St. Ferdinand. I truly believe that Catholic school helped to shape who I am as a person, and I am grateful to have the opportunity to continue that tradition.